The seminar "Building a more cyber secure electrical network" was held yesterday and the results of the SecureGrid project, in which the Arteche Group took part, were announced. This project was designed to increase the level of security of the electrical substations in the HV/MV network and of their electronic equipment, the Intelligent Electronic Devices (IEDs). Their characteristics and remote communication capabilities make of them critical points in the Smart Grids in the event of cyber-attacks. The new cyber security and data analysis technologies developed, improve the security of substations and, therefore, guarantee greater service availability. The project offers a comprehensive interoperable solution at substation level, specifying the minimum requirements of the architecture or potential reference architectures, the IEDs by type and level of security required and the solution necessary for the system to be resilient. The study has been used to define a reference architecture under the in-depth defence paradigm and a cyber security model for IEDs based on the IEEE 1686 standard, which establishes the level of security that an IED can achieve (basic, medium or high) and which makes it possible to define what functionalities a piece of equipment must include in order to achieve a certain level of security in terms of confidentiality, integrity, availability and non-repudiation. 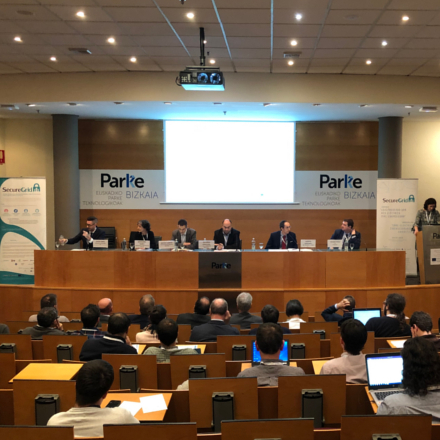 The project has made a substantial contribution to establishing the Basque industry as a leader in the field of cyber security in Smart Grids, a sector that has experienced considerable progress and that continues to anticipate significant growth in the coming years. The event in which our expert Lola Ibañez took part, organised by ZIV, also involved participation from GE, Ingeteam, ITS Security, Ormazabal and the Energy Cluster and the collaboration of Tecnalia, it was attended by Asier Martínez, Head of CSIRT at the Basque Cyber Security Centre (BCSC) and representatives from Red Eléctrica de España, Iberdrola, EDP and Endesa as speakers, accompanied by the organisations participating in the project, which received support from the Department of Economic Development and Infrastructures of the Basque Government through the Hazitek Programme. © 2019 ARTECHE. All rights reserved.